The Beachline Expressway begins getting a replacement interchange this weekend as authorities open the first ramp of the new Innovation Parkway junction. 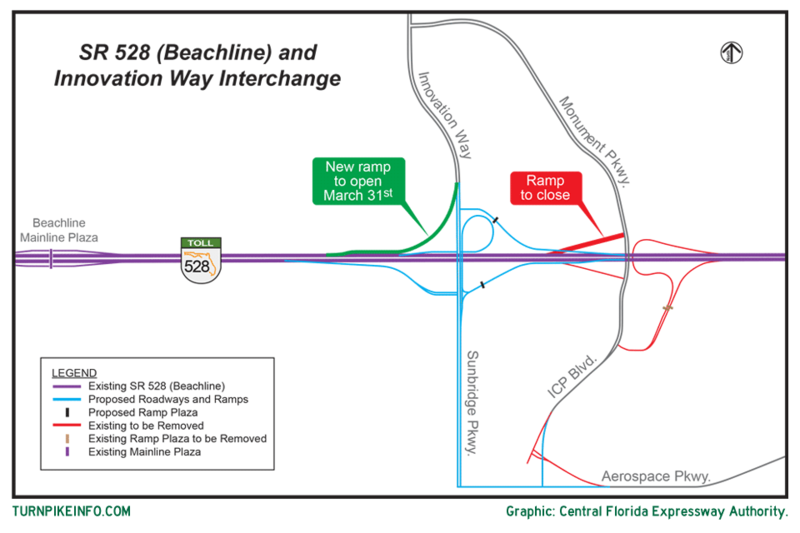 The first ramp of a revised interchange system on Florida’s Beachline Expressway will open Friday, March 31, the Central Florida Expressway Authority has announced. The new ramp will route traffic directly from the southbound lanes of Innovation Way to the westbound lanes of the State Road 528, which is the Beachline. “Motorists traveling south on Innovation Way will be able to access the new ramp directly instead of following the existing configuration through Monument Parkway,” officials announced in a written release. Authorities said the old southbound ramp, from Monument Parkway, will close as the new ramp opens this weekend. Monument Parkway becomes International Corporate Park Boulevard south of the Beachline Expressway. The Innovation Way interchange, about nine miles east of Orlando International Airport, will replace the Monument Parkway/ICP interchange completely by early 2018. The interchange is being updated to accommodate new development in the area, which includes a new intrastate commuter rail system, All Aboard Florida. Detour signs will be available to guide drivers on Monument Parkway, officials said. 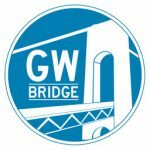 “Motorists traveling on Monument Parkway and ICP Boulevard will be directed to head north to Innovation Way to access the new ramp,” officials wrote. A five-mile stretch of Florida’s Turnpike will be closing overnight starting Monday, March 13, 2017 and continuing through Friday, March 17, 2017, officials with Florida’s Department of Transportation have announced. The closures will be in effect for a four-hour period each morning, from about 12:30 a.m. until 4:30 a.m., authorities said in a written release. The closures are necessary, officials said, to accommodate road-widening and resurfacing along that stretch of the Turnpike, through Wildwood. 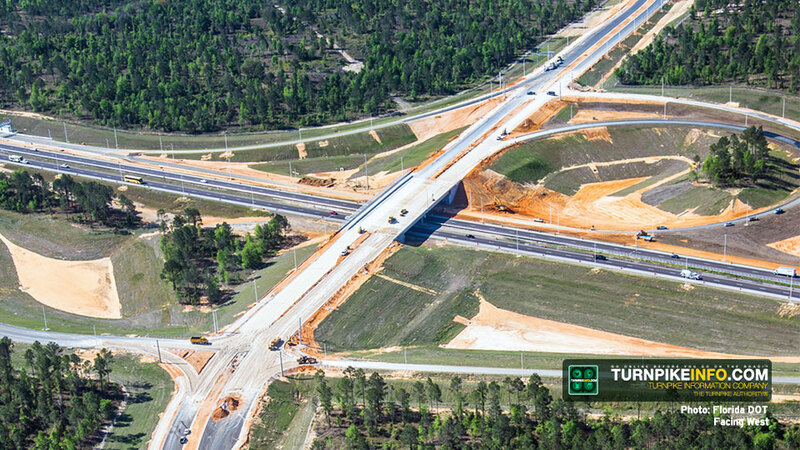 Additional improvements will also improve traffic flow at the I-75 interchange with Florida’s Turnpike, officials announced. Drivers who want to get onto Florida’s Turnpike southbound from I-75 will have to exit I-75 at Florida’s State Road 44, then travel east to U.S. 301. 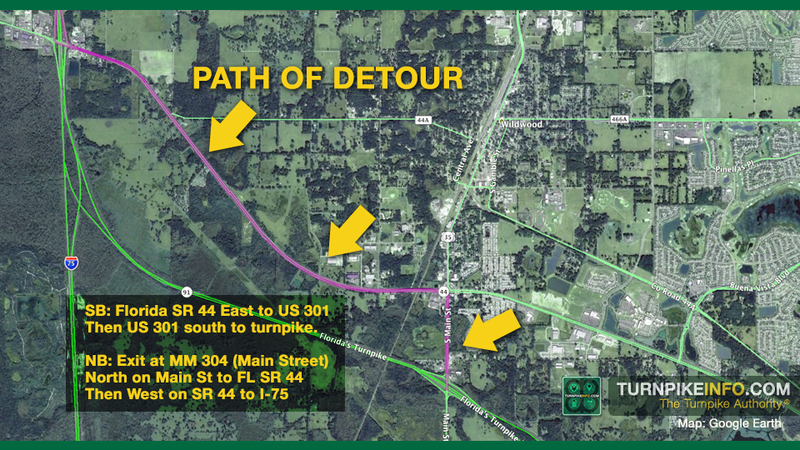 From U.S. 301, drivers can travel southbound to the entrance of Florida’s Turnpike. Drivers who are traveling north on Florida’s Turnpike will follow the same detour, but in the opposite direction. 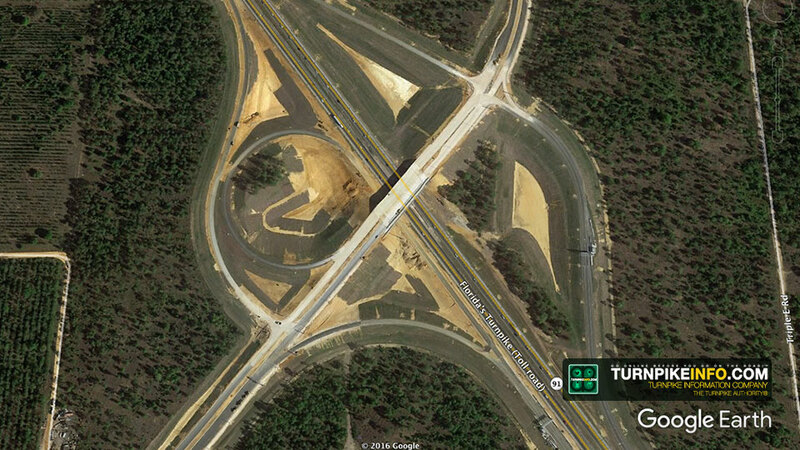 Drivers will be detoured off the turnpike at Exit 304, then turned north on U.S. 301 to Florida State Road 44. Drivers will then be detoured west on SR 44 to I-75. The Delaware River Bridge, which connects the New Jersey Turnpike and the Pennsylvania Turnpike, is slated to remain closed at least another eight weeks, officials announced Friday. The bridge was shut to civilian traffic on Friday, January 20 when a large crack was discovered in a support truss. The decision to keep the bridge closed was made by a joint engineering task force being co-led by the New Jersey Turnpike Authority and the Pennsylvania Turnpike Commission. The agencies jointly own and manage the DRB. 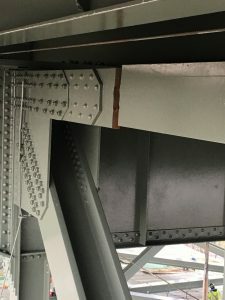 Weight loads shifted considerably, officials say, when this crack opened in a support truss of the DRB, which has been closed to traffic since January 20, 2017. The bridge now must be realigned before the fracture can be repaired. That means the next several weeks will be devoted to installing temporary towers and hydraulic jacks to realign the bridge. The groundwork for the jacking towers began last week, authorities said. Steel-pipe pilings are being installed underground, according to officials, that will support 80-foot towers. Those towers will be carefully jacked into position to realign the bridge, but that will not happen until early March, at least, according to authorities. However, officials admit they do not know whether the rest of the bridge can support a regular traffic flow, and authorities said they will not be able to determine that until the jacking process is completed. “We want to get this bridge reopened to traffic as soon as we are safely able to do so,” said New Jersey Transportation Commissioner Richard T. Hammer. Hammer also serves as chairman of the New Jersey Turnpike Authority board. Alternate routes remain in effect for traffic crossing between the two states’ turnpikes. Authorities say the DRB carries an average of 42-thousand vehicles per day across the now-disabled span. Feb. 6 – Install jacking towers. Feb. 13 – Install jacking towers, instrumentation and structural reinforcement required for jacking. Feb. 20 – Install instrumentation and structural reinforcement required for jacking. Feb. 27 – Install structural reinforcement required for jacking. March 6 – Perform jacking. March 13 – Install permanent repair splice. March 20 – Perform load testing. March 27 – Demobilize jacking towers. PA Turnpike motorists heading east into New Jersey should use this revised alternate route: Exit at the Bensalem Interchange, #351 in Bucks County. Follow U.S. Route 1 north, to I-95 north, to I-295, south, to I-195 east. Take Exit 6 on I-195, and reenter the NJ Turnpike. Source: PA Turnpike Commission. NJTP drivers heading west into Pennsylvania will need to use either Interstate 78, Interstate 295, or the Burlington-Bristol Bridge. Source: New Jersey Turnpike Authority. The Delaware River Bridge, linking New Jersey and Pennsylvania drivers, will remain closed indefinitely, officials have announced. The Pennsylvania Turnpike Commission and the New Jersey Turnpike Authority are, jointly, warning drivers to expect “extreme delays” at crossings over the Delaware River due to the closure of the Delaware River Bridge. 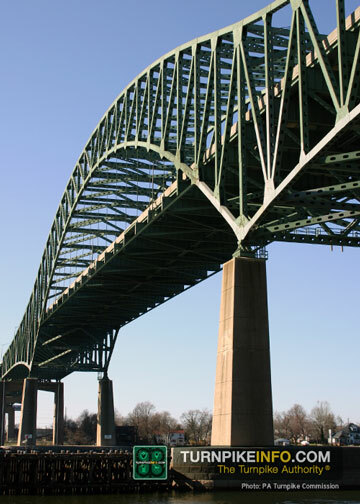 The bridge, which connects the New Jersey Turnpike to the Pennsylvania Turnpike, was closed Friday afternoon after a painting crew found a large crack in a support truss. Officials with each state office were asking drivers to consider using public transit or carpooling to help reduce congestion. Authorities also have suggested people consider adjusting their work schedules, for those who can do so, or consider working from home, known in the tech world as telecommuting. Meanwhile, authorities in both states listed an updated detour list, given the DRB is likely to remain closed for weeks to come. Essentially, drivers heading to New Jersey will be detoured off the Pennsylvania Turnpike at Exit 351, although local traffic will be permitted to access Exit 358, authorities with the PA Turnpike Commission announced. Meanwhile, drivers heading to Pennsylvania will be detoured off the New Jersey Turnpike at Exit 7A. Motorists heading to New Jersey will be detoured at PA Turnpike Exit 351 to Route 1 northbound to I-95 northbound, which becomes I-295 southbound in New Jersey, to I-195 eastbound to the New Jersey Turnpike. PA Turnpike Exit #358, Delaware Valley, will remain open for local traffic only; watch out for a single-lane pattern approaching Delaware Valley. Motorists heading to Pennsylvania will be detoured at New Jersey Turnpike Interchange 7A to I-195 westbound to I-295 northbound, which becomes I-95 southbound; or from New Jersey Turnpike Interchange 5 to Mount Holly Road. Motorists traveling from northern New Jersey are advised to exit at Interchange 14 and use I-78 west into Pennsylvania. The Culprit: This fracture, discovered by a painting crew Friday, January 20, forced the closure of the Delaware River Bridge. Officials said an analysis of the bridge’s structure will take several weeks. Until that is completed, at the very least, the bridge will remain closed. Photo: PA Turnpike Commission. Engineers and construction crews worked through the weekend to stabilize the bridge at the site of the fracture; however, officials announced Saturday that a structural analysis of the bridge would take several weeks. The bridge has been undergoing a $61-million rehabilitation since 2012, according to officials, with in-depth inspections of the structure every two years. The $400-thousand cost is shared between the PTC and the NJTA, although the New Jersey Turnpike Authority manages the contract. Sean Logan, chairman of the PA Turnpike Commission, said the most likely cause of the crack was rapidly-changing weather conditions, but that a complete analysis was prudent and necessary, aside simply assessing the fracture’s impact on the bridge. The four-lane bridge opened in 1956 and carries about 42,000 vehicles per day across the Delaware River. The Pennsylvania Turnpike Commission and New Jersey Turnpike Authority have announced the Delaware River Bridge between Pennsylvania and New Jersey will remain closed for as long as two weeks, and perhaps longer, while a structural assessment is performed on the span, the commission announced late Saturday. Both agencies, which jointly own and maintain the span, decided to close the bridge Friday after a crack was discovered in one of the bridge trusses. New Jersey Turnpike officials closed the westbound lanes of the Pearl Harbor Memorial Extension, as well, which connects the mainline of the NJ Turnpike to the DRB. 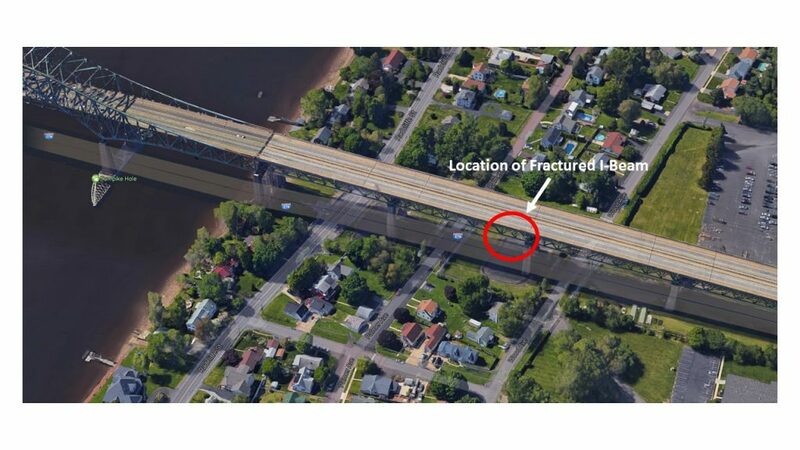 Location of the crack on The Delaware River Bridge, which connects the Pennsylvania Turnpike to the Pearl Harbor Memorial Extension of the New Jersey Turnpike. Officials closed the bridge Friday, January 20, after a crack was discovered in the span. It will remain closed at least two weeks, officials announced Saturday. Photo: PA Turnpike Commission. Authorities said the two-week assessment may take longer, depending on what authorities are able to learn. “Until more is understood about the damage, it is not possible to estimate how many days or weeks the bridge will need to be closed while the permanent fix is made,” officials wrote. 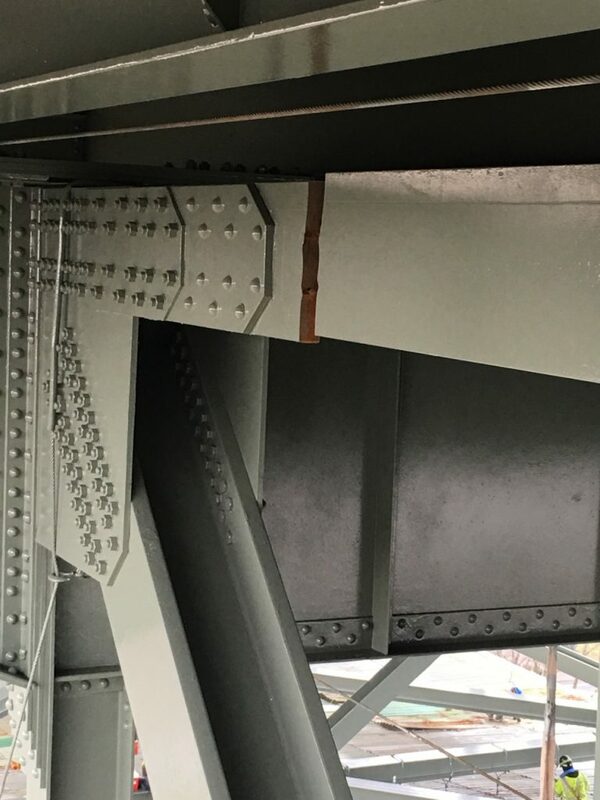 The fracture was discovered on the Pennsylvania side of the Delaware River Bridge during a routine check of the span by a painting crew on Friday. The 1.2-mile span opened in 1956. About 42-thousand vehicles cross the span each day, according to officials with the agencies. 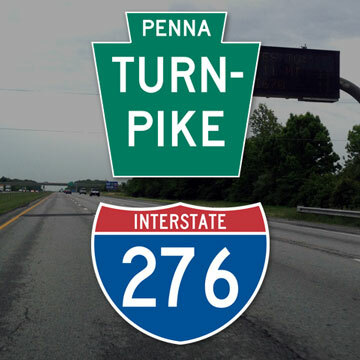 The Pennsylvania Turnpike Commission announced late Friday they would be closing I-276, the Pennsylvania Turnpike, for six hours the morning of Saturday, January 14, and Sunday, January 15, from 12:01 a.m. until 6 a.m. between Exit 351 and Exit 358. Officials stated the closures were necessary for construction workers to safely install new bridge supports and beams on a bridge at mile marker 356.6. Authorities at the PA Turnpike Commission said they had marked alternate driving routes for eastbound and westbound travel, and officials said in a written release that state police and turnpike personnel would be directing traffic through the weekend’s overnight closures. Take U.S. Route 1 south to State Route 132 east, to U.S. Route 13 north. Reenter the Turnpike at the Delaware Valley Interchange, Exit 358. Take U.S. Route 13 south to State Route 132 west to U.S. Route 1 north. Reenter the Turnpike at the Bensalem Interchange, Exit 351. 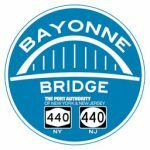 The Port Authority of New York and New Jersey will close the Bayonne Bridge to all traffic this morning at 9 a.m., and will reopen the span at 3 p.m. this afternoon. The bridge will close again at 7 p.m. this evening, and it will remain closed until 5 a.m. tomorrow. Identical closures will impact traffic on Thursday. The daytime closure will also be in place Friday, the Port Authority announced, but the overnight closure will not be in effect Friday night. Friday, October 14, from 9 a.m. to 3 p.m.
All traffic will be diverted to the Goethals Bridge during the closures. 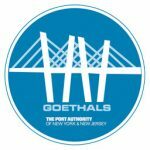 The Goethals Bridge between New Jersey and Staten Island will be closing tonight at 10 p.m., the Port Authority of New York and New Jersey has announced. The closure begins Friday night, October 7, at 10 p.m. and continues through Saturday morning, to 8 a.m.
Officials have opened the Bayonne Bridge for the duration of the Columbus Day weekend, and the Outerbridge Crossing, to the south, is an alternate route.